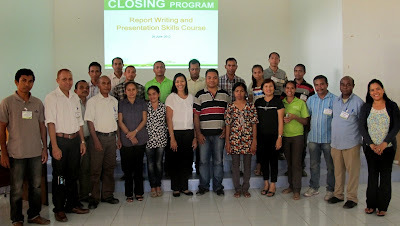 Presentation Skills Course held in Timor-Leste. 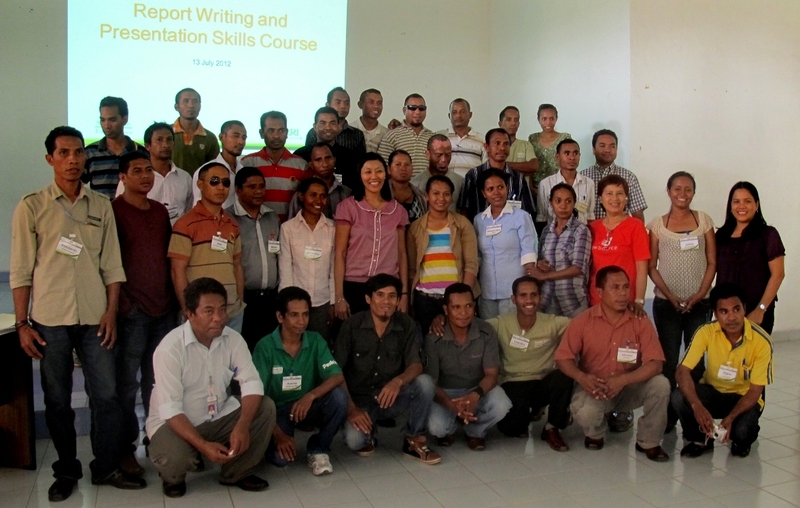 Sixty-eight participants from the Seeds of Life program of Timor-Leste's Ministry of Agriculture and Fisheries (MAF) attended the Report Writing and Presentation Skills Course held in Dili on 26 June-13 July 2012. The course was offered in three batches to accommodate the number of participants, who were a mix of researchers, extension workers, and administrative personnel. It aimed to help participants write reports more effectively, develop confidence in articulating and sharing their ideas about their work and research, and deliver effective presentations. Topics included report writing, preparing visuals, and presentation, conducted through lectures and hands-on exercises. 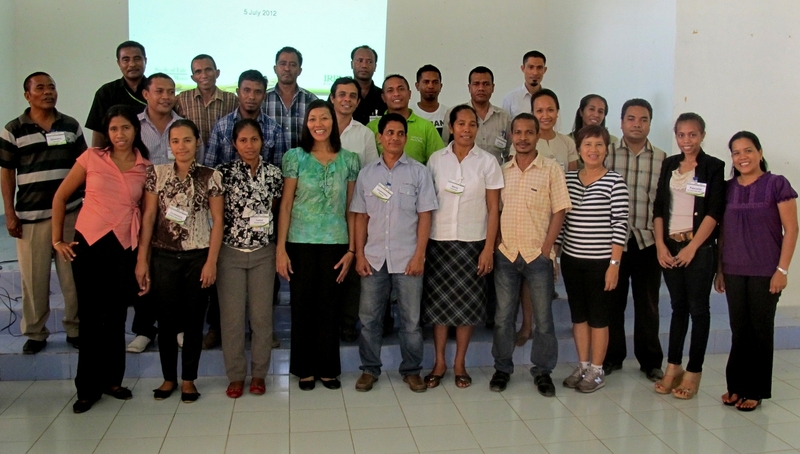 Achu Arboleda and Lanie Quinto, both of the IRRI Training Center, conducted and facilitated the course, respectively.